Known as the world's most powerful anti-aging food, goji berries are rated #1 on the ORAC (Oxygen Radical Absorbance Capacity) scale, which measures the antioxidant level of foods. There are two ingredients in the Organic Goji Berry that greatly benefit the eyes. Lutein and zeaxanthin are both vital components to eye health. These two ingredients help people avoid deteriorating eyesight and boost overall eye health. With these two ingredients, the Goji Berry can help a person avoid developing eye problems as they age. The skin is a part of the body that is constantly taking damage. It is exposed to the elements and can show signs of aging quickly if not taken care of properly. There are many vitamins that can help the skin stay healthy and youthful. The goji berry has a variety of vitamins that are beneficial to the body and the skin. Vitamin C and zincare two vitamins found in the goji berry. These vitamins are used by the body to stay healthy and the skin to stay supple. By eating goji berries regularly many people find that their skin radiates a youthful glow. The combination of vitamin C and zinc has been thought to help combat the effects of UV rays. By gaining both of these vitamins the skin may be able to fight off any ill effects that prolonged sun exposure can cause. It is always a good idea to help the skin by protecting it with sunscreen, as well. 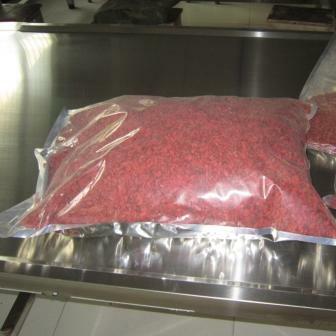 Looking for ideal Mix Size Organic Goji Manufacturer & supplier ? We have a wide selection at great prices to help you get creative. All the Healthy Goji Berries are quality guaranteed. We are China Origin Factory of Good Organic Food For Eyes. If you have any question, please feel free to contact us.